If u need latest Snapdragon with smooth performance and AI features then this was best deal for 30k . Selfie camera is not upto the mark but for this price it does well and rear camera was amazing,Worth buying.. 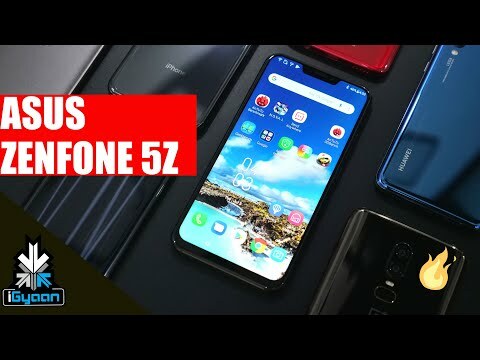 This Zenfone 5Z is a good phone with powerful performance and features. However it is a bit big in size to use. It is okay to buy this phone. Asus Zenfont 5Z is a fantastic flagship device which is killing the competition with perfection. When I first held the device in my hand, I was able to feel the premiumness in it. The device comes with the flagship processor, best display under 35k budget, superb cameras. It runs on the near stock android which is very optimized giving an impressive performance. Asus Zenfone 5z is one of the fastest smartphones which you can get at this price point. It is also on Diwali sale right which is amazing. I totally loved the display on the device. It gives immense viewing experience and is perfect for consuming media. It has the latest flagship processor meaning no compromise on performance. The cameras work exceptionally well even in low light condition. So far, I am happy with this device and the brand&apos;s support. 9 Pricebaba users have written their experience with Asus Zenfone 5Z. If you own Asus Zenfone 5Z, please do leave your feedback too. On the front, the Zenfone 5Z rocks a 6.2-inch FHD screen with resolution of 2246 x 1080 pixels. The device sports a bezel-less display with a 19:9 aspect ratio and iPhone X-like notch at the top. A 2.5D curved glass is fitted on the top for a better experience. Due to the bezel-less display, the fingerprint scanner is mounted on the rear side. The front side houses various sensors like accelerometer, proximity, magnetometer, barometer, and gyroscope. The Zenfone 5Z features a USB Type-C connector for charging. It ships in two attractive colors i.e. Midnight Blue and Meteor Silver. On the flip side, the Zenfone 5Z sports a dual rear camera setup comprising of a 12MP primary sensor with an f/1.8 aperture and a secondary sensor of 8MP with f/2.2 aperture. The camera features an Electronic Image Stabilisation and is accompanied by LED flash which helps in clicking good pictures in low light. On the front, for clicking selfies you will get an 8MP snapper. The camera software has various features like AI scene detection and AI photo learning assistant. The rear camera allows the user to record 4k videos (2160p). Under the hood, the Zenfone 5Z houses a flagship octa-core Qualcomm Snapdragon 845 chipset. For seamless multi-tasking and lag free performance, the processor is coupled with 6GB RAM and an Adreno 630 graphics processor onboard. The Zenfone 5Z offers 64GB internal storage with an option to expand up to 400GB via microSD card slot. Out of the box, the device runs on Android 8.0 Oreo operating system with Asus’s custom ZenUI 5.0 skinned on the top. Powering the Zenfone 5Z is a 3300 mAh non-removable battery. This phone offers dual SIM functionality and supports Nano SIM cards. As for networking, connectivity options include 4G LTE, 3G, 2G, WiFi, Bluetooth, NFC and VoLTE. 1.What type of SIM card will I need? Ans: You will need a nano SIM card for networking. Ans: There is a dual rear camera consisting of 12+8 MP sensors, so you can expect great pictures. 3. How is the phone for gaming? 4. Does the phone supports 4K video recording? Ans: Yes, this phone lets you record 4K videos.